An arrest is one of the worst case scenarios that you or a loved one could come across in regards to the law. It doesn’t really make a difference what the crime is, when you wind up in a situation where bail needs to be posted, you’ll always find a way to get it taken care of. In most cases, however, the bail amount is often higher than what most people can afford. Even after raking up any loose change, cleaning out your savings, or maxing out your credit card, there are times where there’s simply not enough to take care of the bail amount. In these cases, a bail bondsman is precisely what you need! If you’ve never had to use a bail bond company before, then the process can be pretty intimidating. 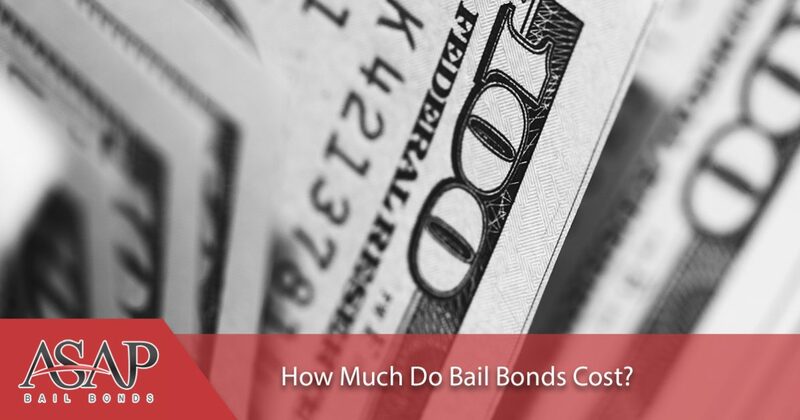 One of the questions that we often hear is, “How much does a bail bond cost?”. In today’s blog, we’re going to touch on this question and provide you with the information that you need to feel better about the process of a bail bond. Let’s dive in. One of the most overwhelming parts of reaching out to a bail bond company is knowing that you still have to pay a certain amount in order to receive the assistance. What very few people know is that the percentage that you’re responsible for paying is going to be dependent on the state that you live in and the amount of the bail itself. Here in Georgia, the down payment that you make should be no more than 15 percent of the entire bail cost. This will, however, vary from one bail bondsman to the next. So, let’s go ahead and start with an example. Let’s say that your loved one’s bail is posted at $5,000. This is an amount that some are easily able to come up with, but many are not. In those instances, your first move would be to call a bail bonds company and talk to them about the bail that needs to be posted. At that point, they will go ahead and talk to you about the amount that they’re going to need you to pay them upfront in order for them to give you the full bail amount. As we mentioned before, the percentage due up front is going to be something that varies from state to state and from person to person. In Georgia, the percentage that is often due is set to be no higher than 15 percent. In the example of a $5,000 bail that needs posted, you can anticipate having to pay anywhere from $500 to $750 upfront. While this is still quite a bit of money to have to front, it’s a much more reasonable amount, and it will be enough to help you get your loved one out. When you’re in need of assistance with posting bail, you can count on ASAP Bonding. Arrests aren’t something that we wish on any of our loved ones. That being said, we work quickly to help you get them out of jail as quickly as possible. Our team is dedicated to making the process as stress-free as possible and providing you with the information and assistance that you need to get your family member or friend out of this tight place. If you’re in need of a bail bond, contact our team today. We’ve been happy to provide the Duluth area with the bail bond services that they need to help their loved ones out when they need it the most.